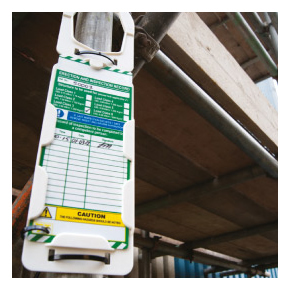 Scafftag helps you manage and communicate the latest inspection / test status of the equipment in terms of the health and safety, maintenance and identity to improve safety compliance and business performance. Visual Tags, Lockout Tagout, Inspection Management Software and records provide a complete, customisable information management solution. Using our unique Scafftag Equip process, a dedicated expert will work with you drawing on 20 years of experience and a best practice database of thousands of bespoke designs.Training tools and advice are all part of the on-going personal service. It all adds up to clearly improved business performance. 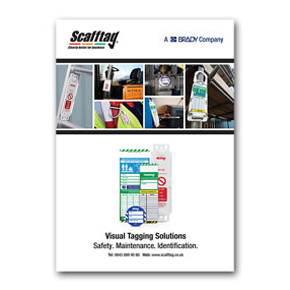 Scafftag’s Visual Tagging Catalogue offers guides, dimensions and materials for all of its visual tagging solutions. 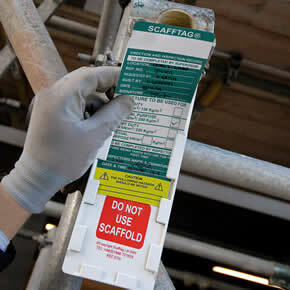 Scafftag has outlined five tips for using Equipment Tagging Systems for scaffolding and access equipment. As erratic weather conditions become increasingly common, it’s ever more important that companies with sites outdoors are on top of their equipment checks. 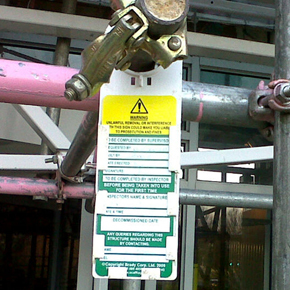 Designed for work at height purposes, Scafftag’s range of Equipment Tagging Systems can be used to communicate the status of equipment to ensure safe work at height. 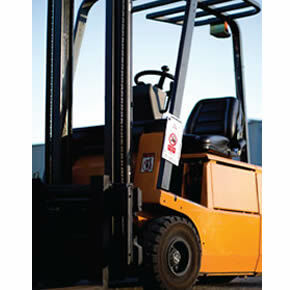 To help to improve forklift safety on site, Scafftag has launched Forkliftag, a tagging solution which has been developed to record pre-shift inspections, maintenance and identification of forklift trucks.